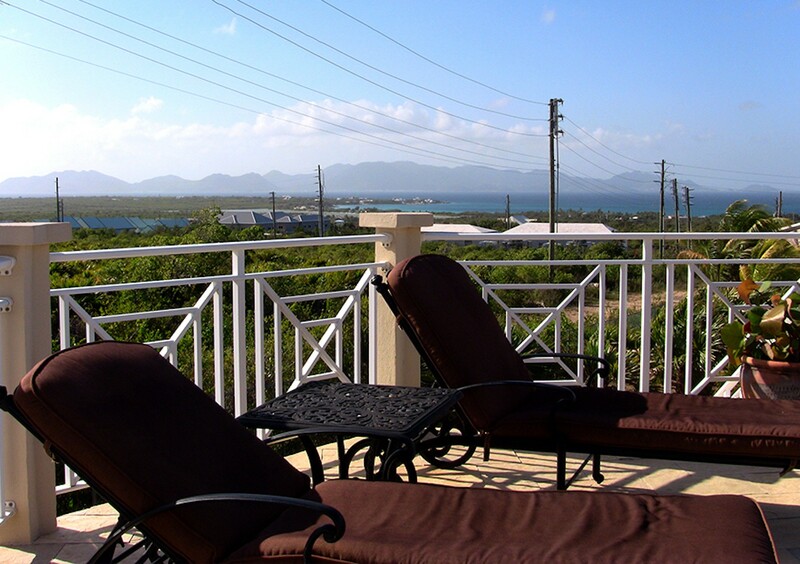 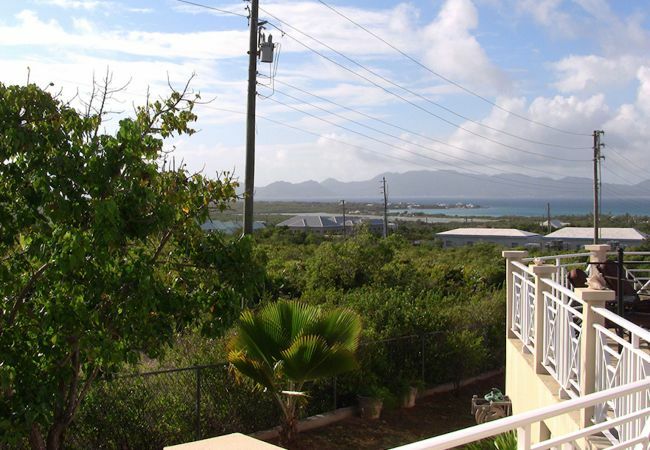 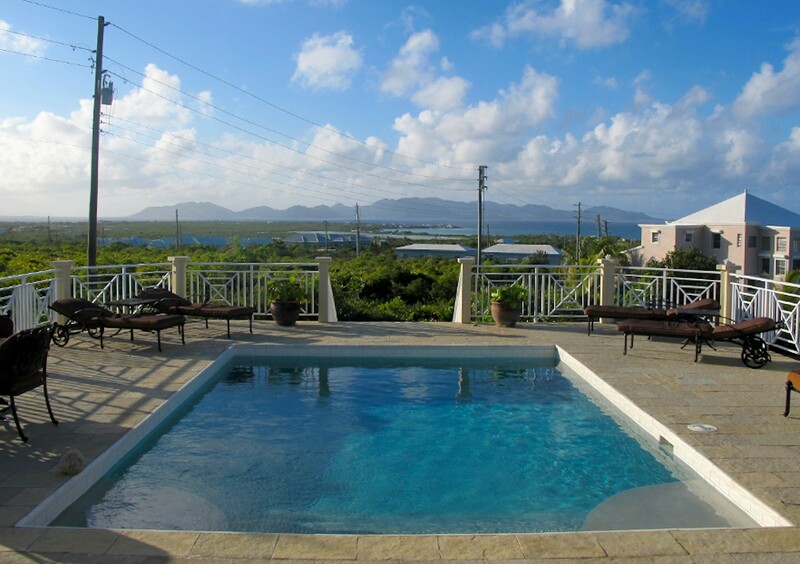 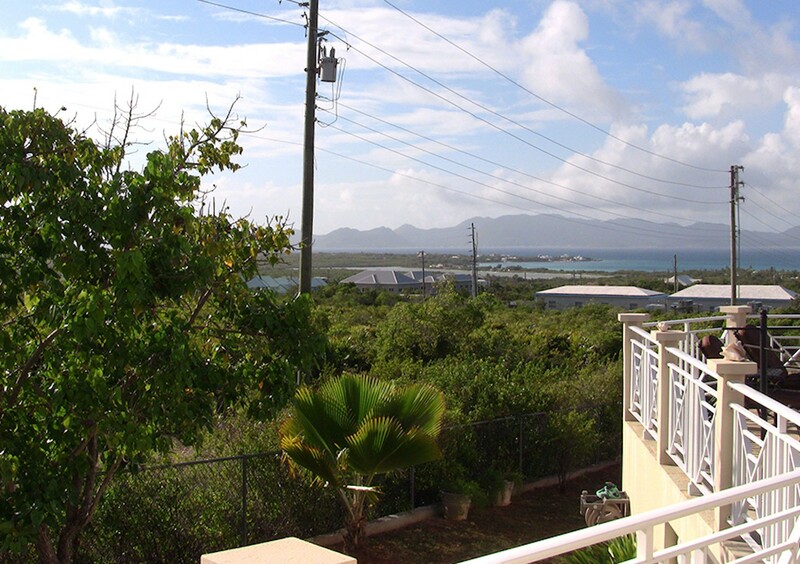 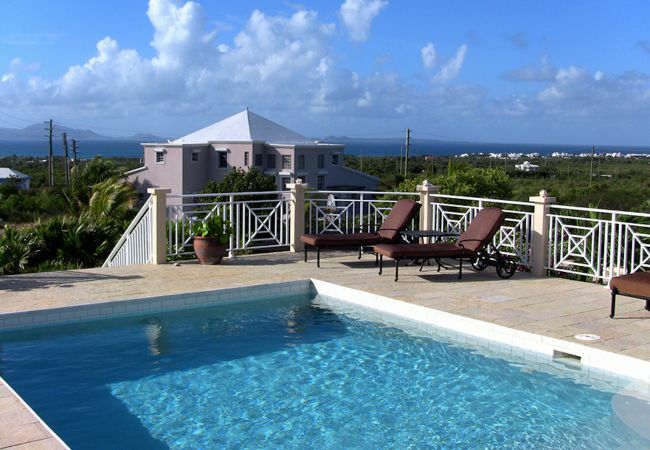 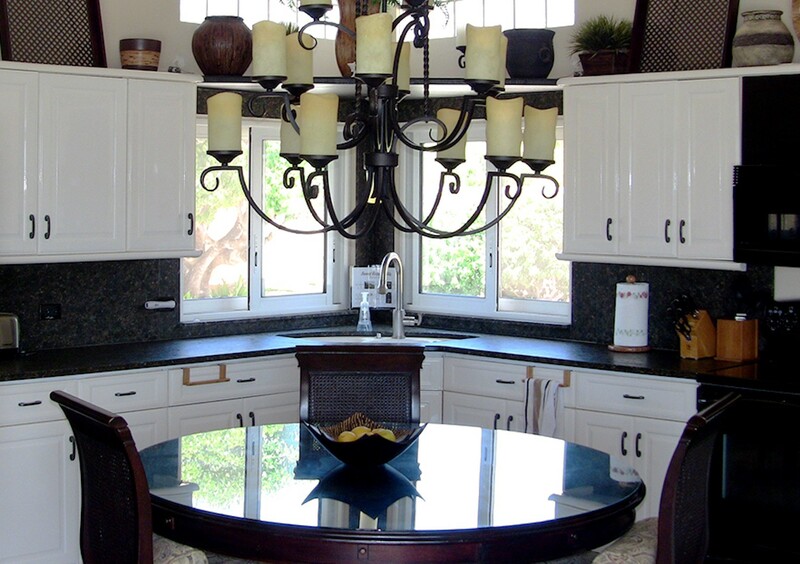 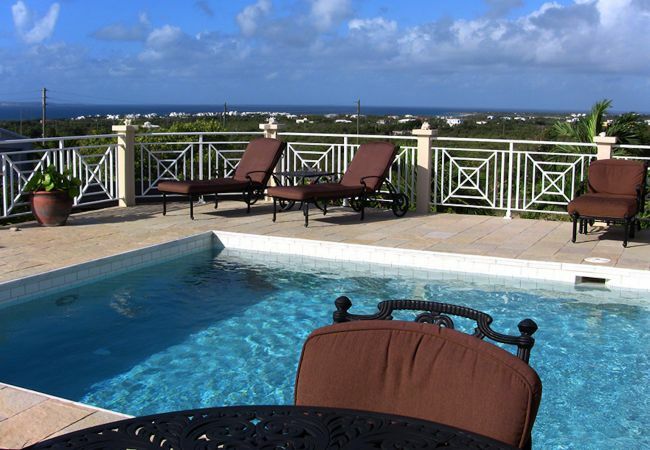 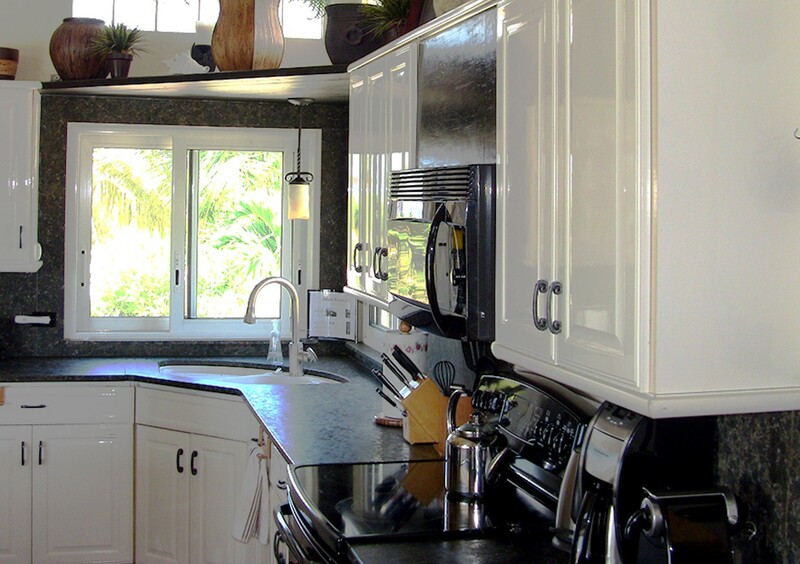 Sweet Return Villa sits beautifully on the elevated Isaac’s Cliff in the Long Bay area of Anguilla’s west end. 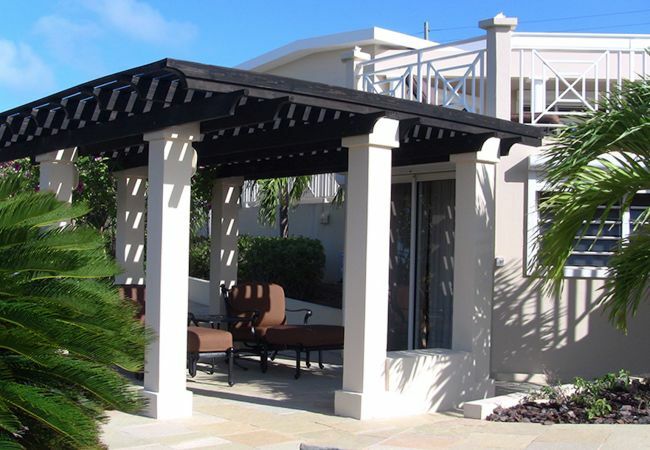 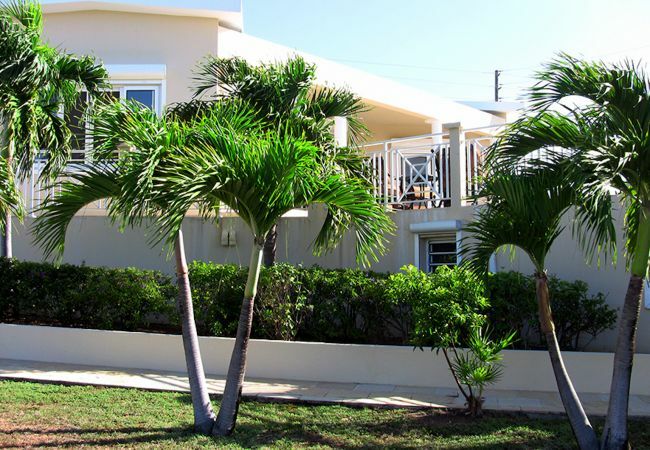 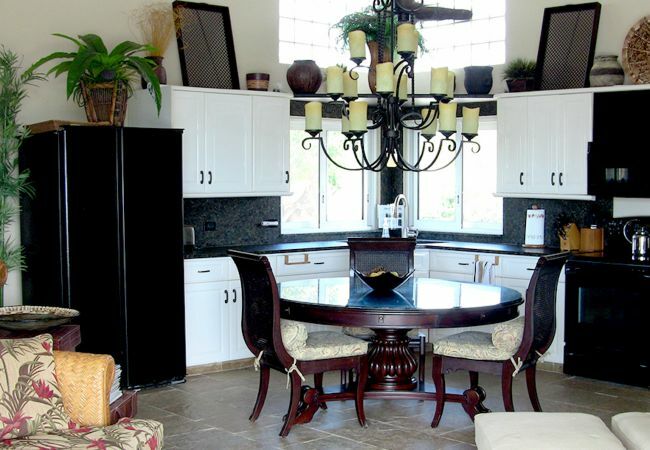 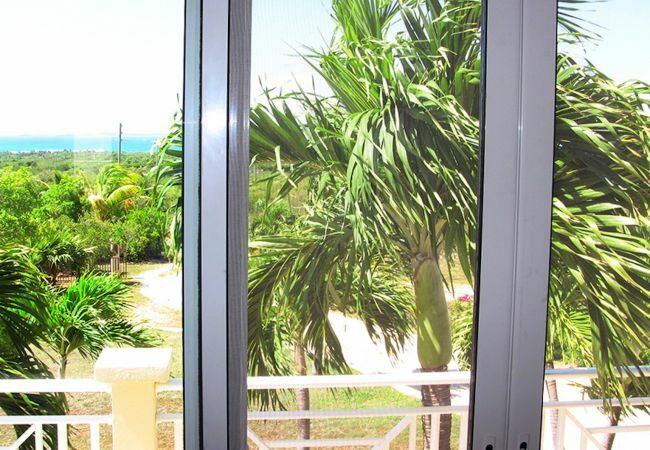 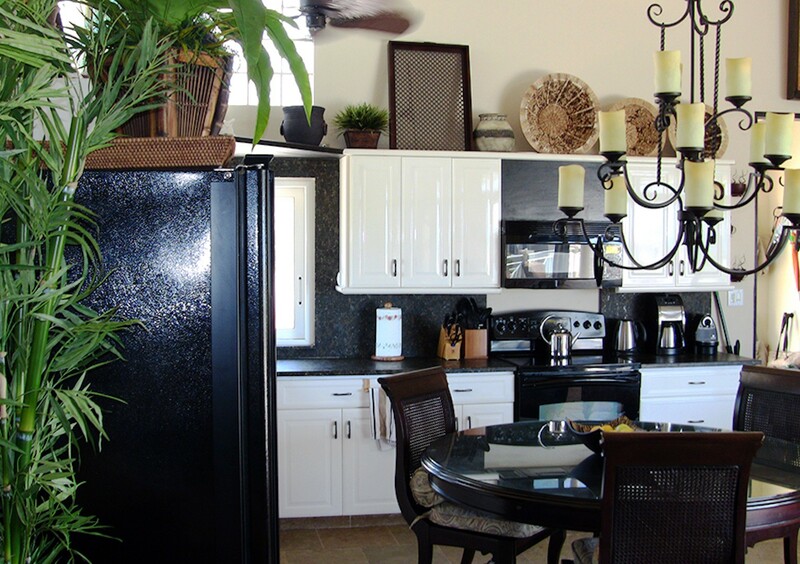 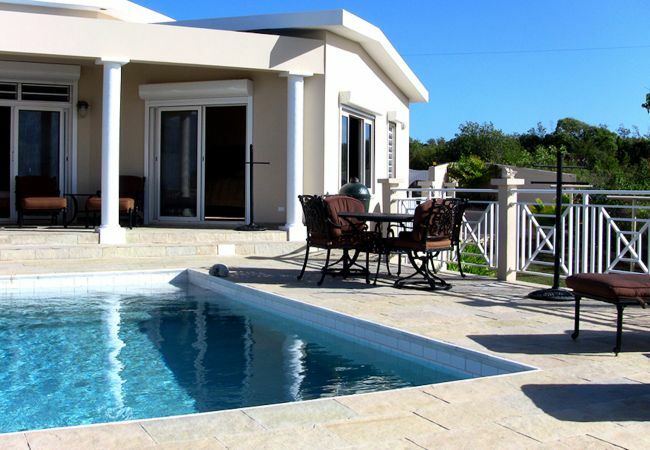 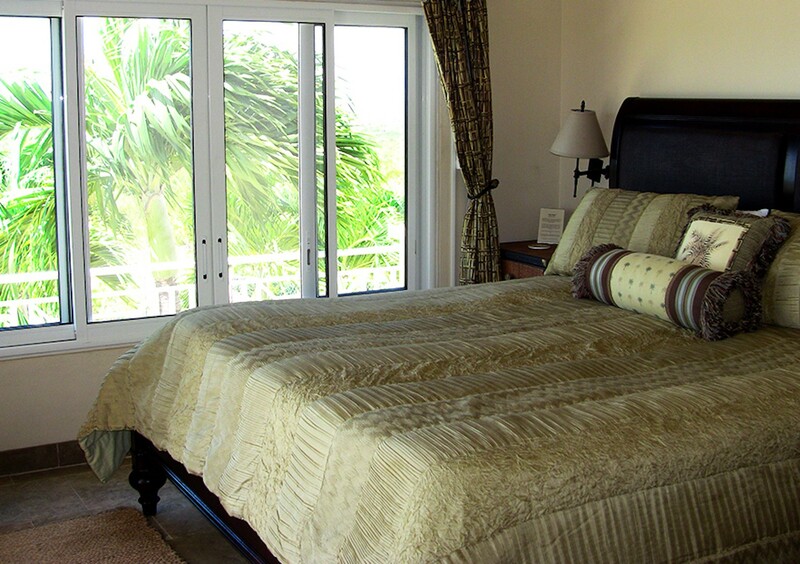 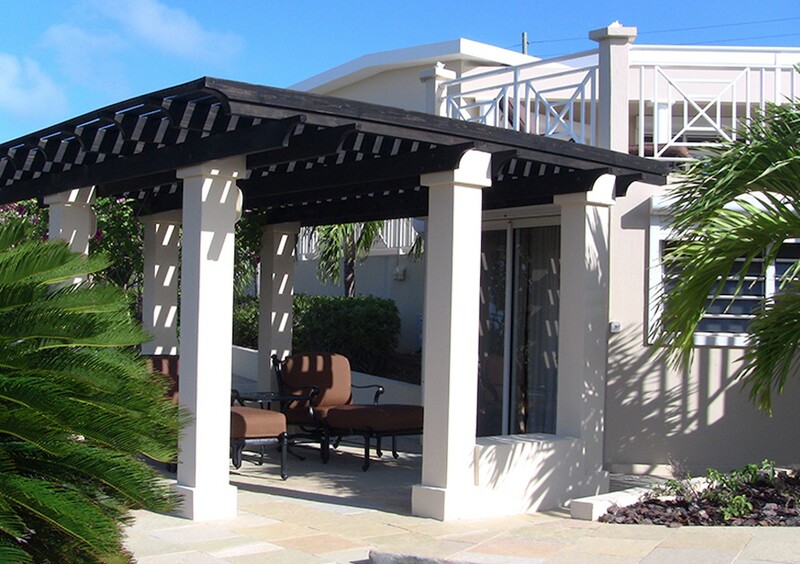 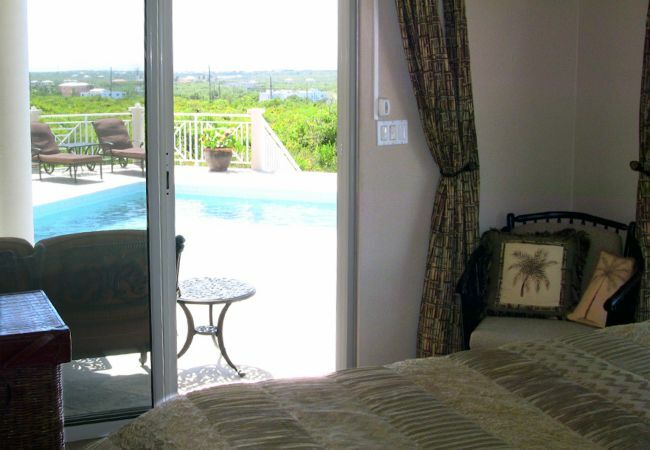 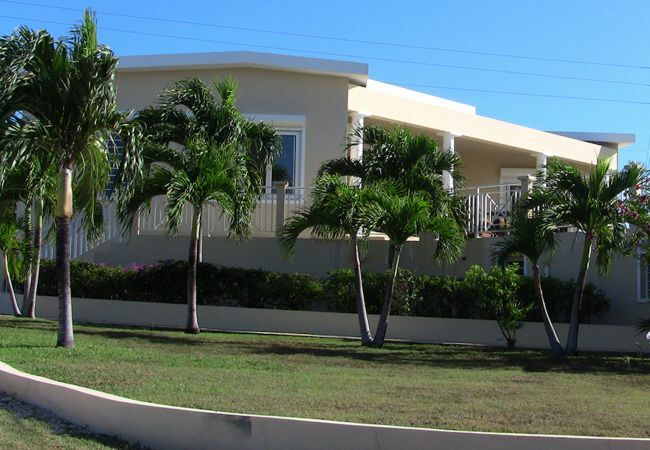 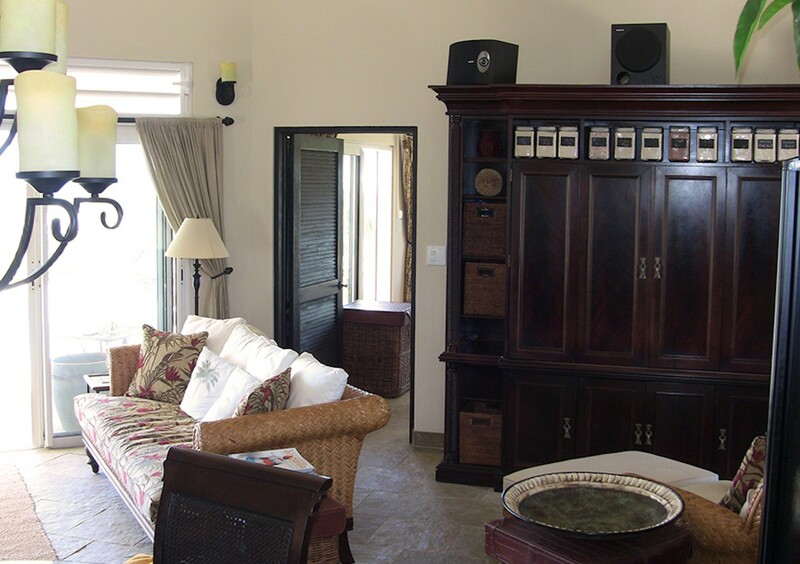 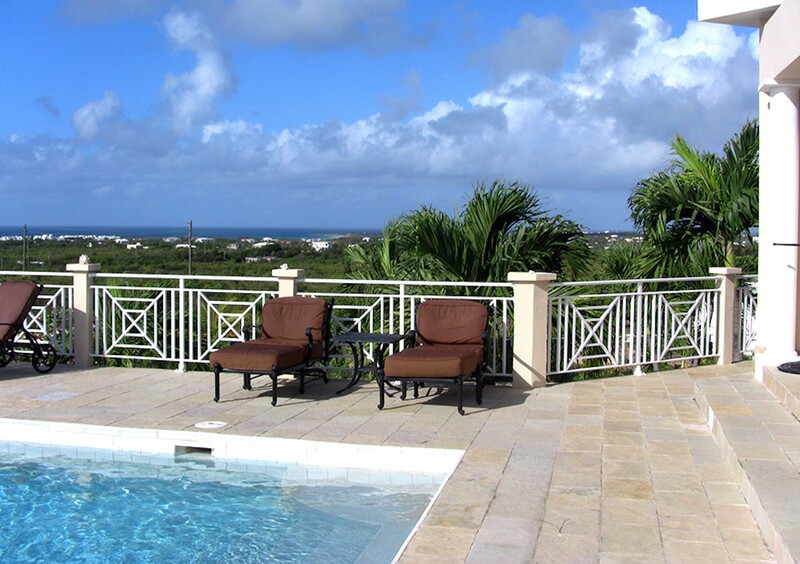 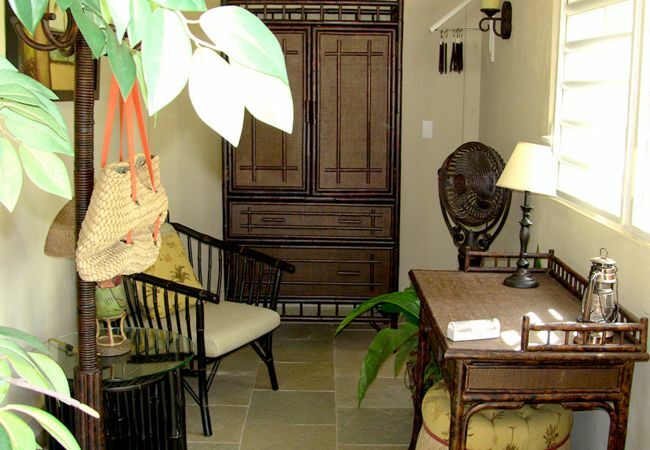 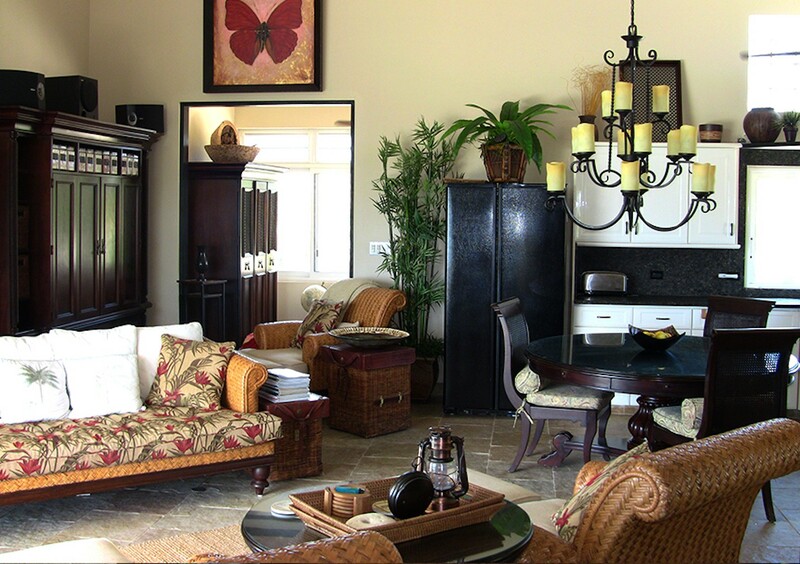 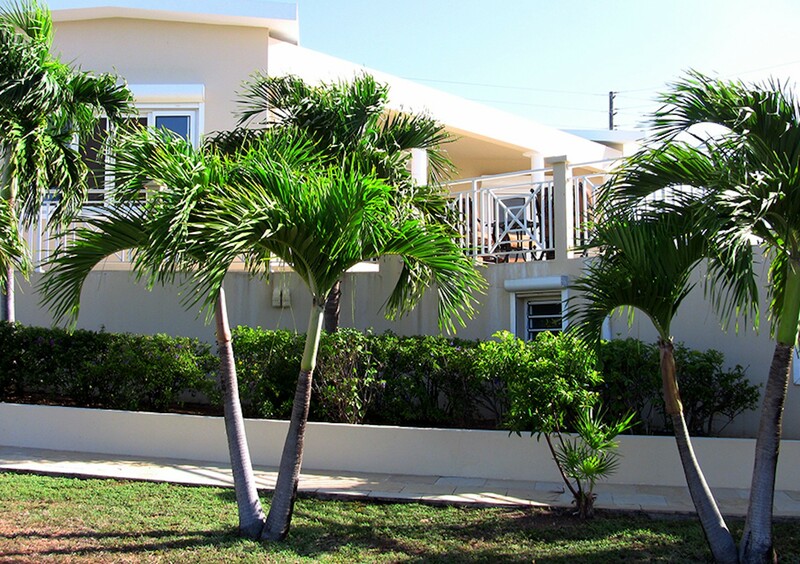 Access to the villa is directly across from the main entrance to the Cuisinart Golf Course. 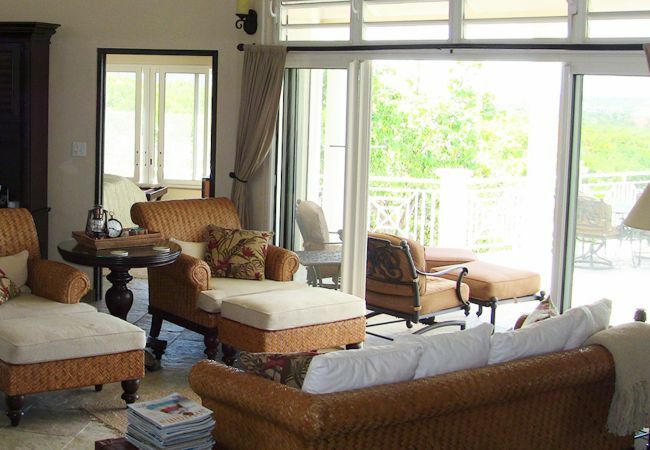 The villa has been designed and oriented to capture spectacular views from not only the common areas but also from the privacy of both main floor bedrooms and ensuites. 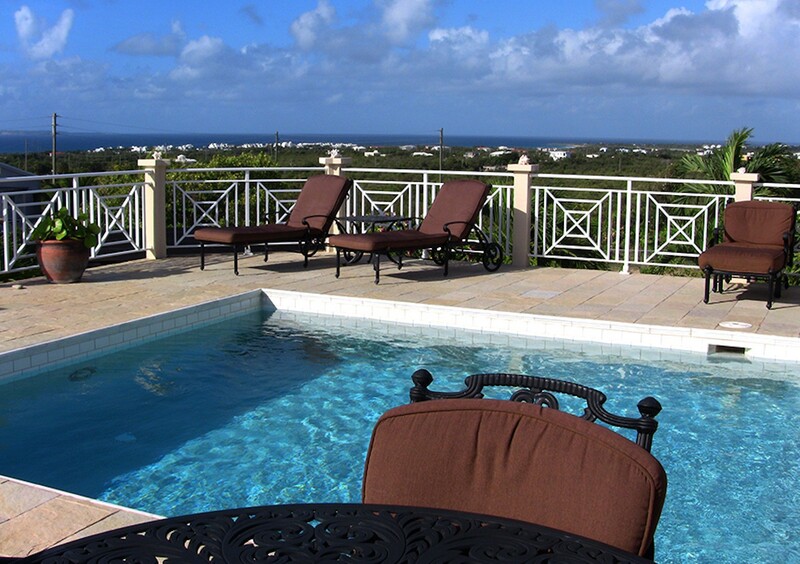 The villa has a breathtaking panoramic view from the pool ranging at least 270 degrees with stunning views of St. Maarten/St. 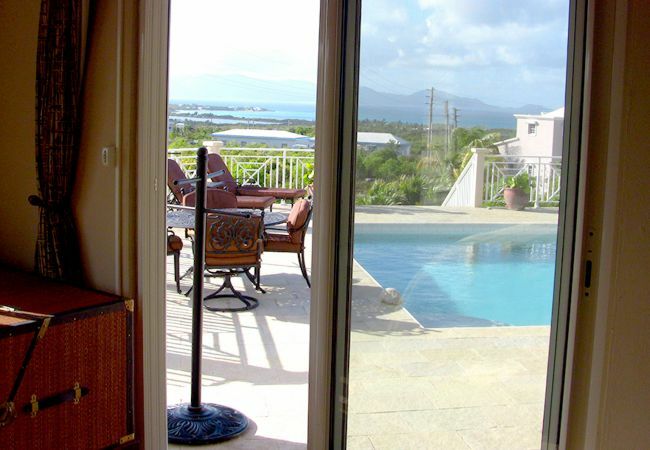 Martin, Saba, and on a clear day beyond.The villa can be rented as a 2 bedroom or a 3 bedroom and is ideally designed to accommodate either 2 or 3 couples providing privacy for all. 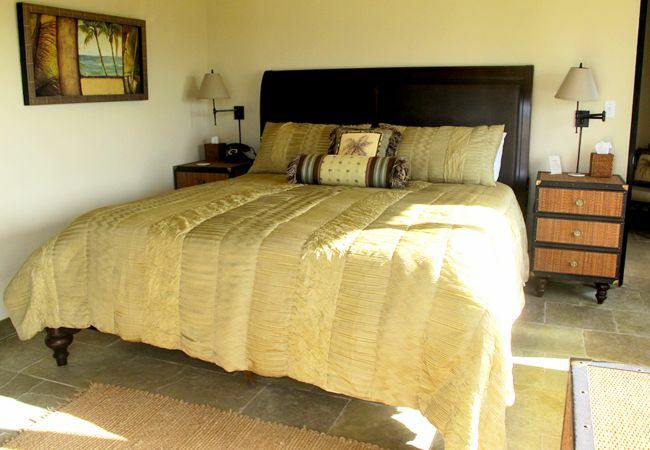 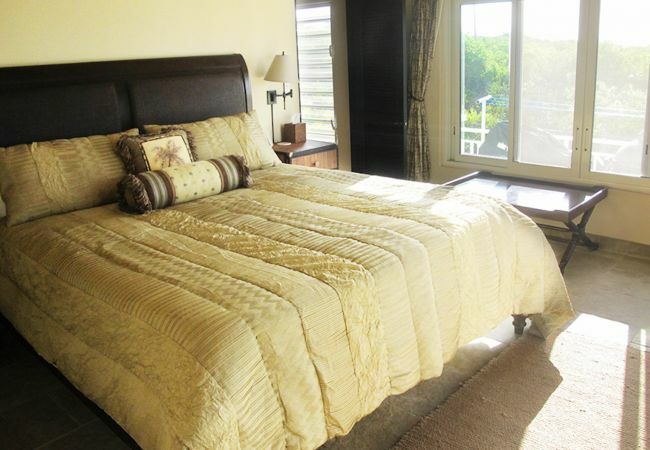 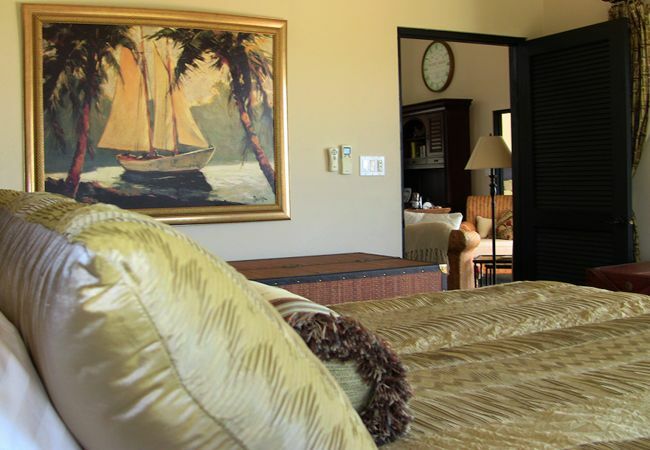 The main house has two identical air conditioned master bedrooms, each with a king size bed and ensuite bathroom. These two bedrooms have a large window in addition to a patio door that provides direct access to the pool and an incredible cross breeze. 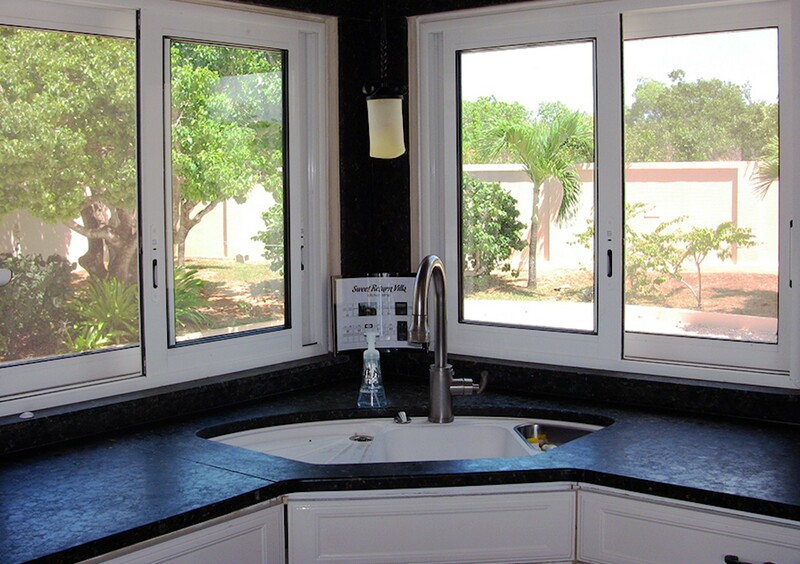 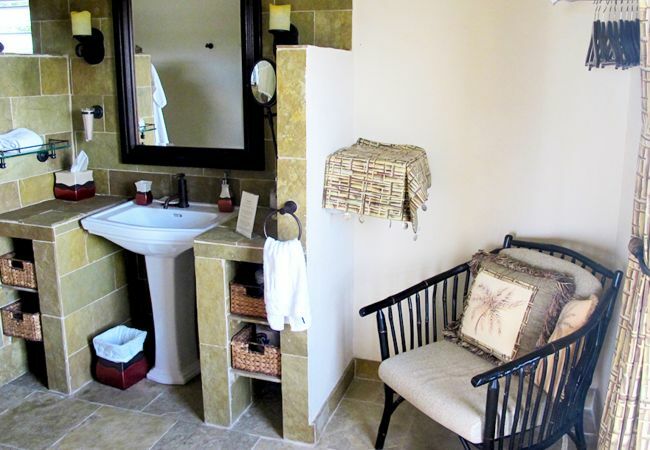 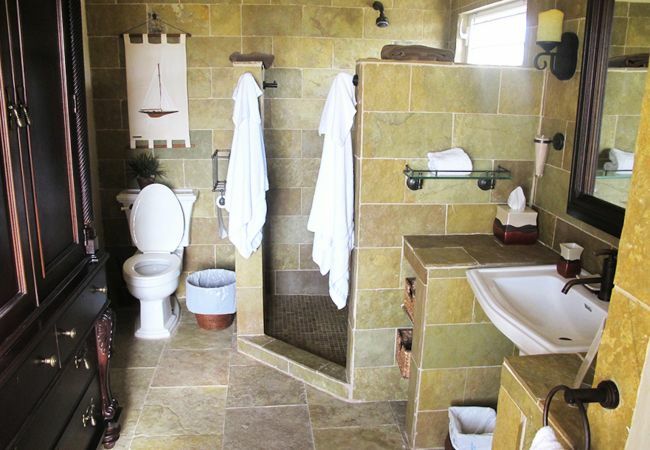 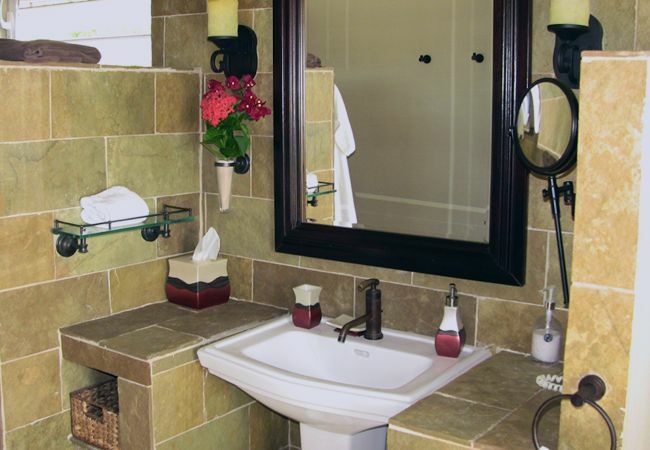 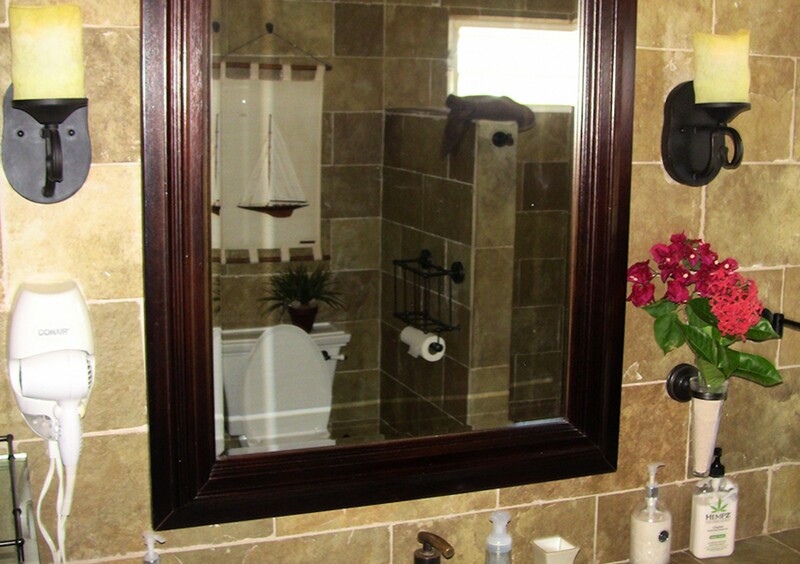 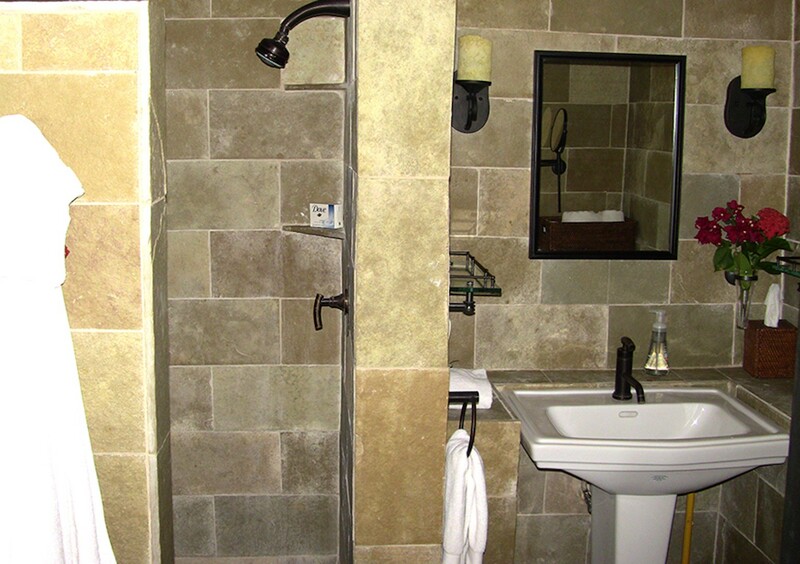 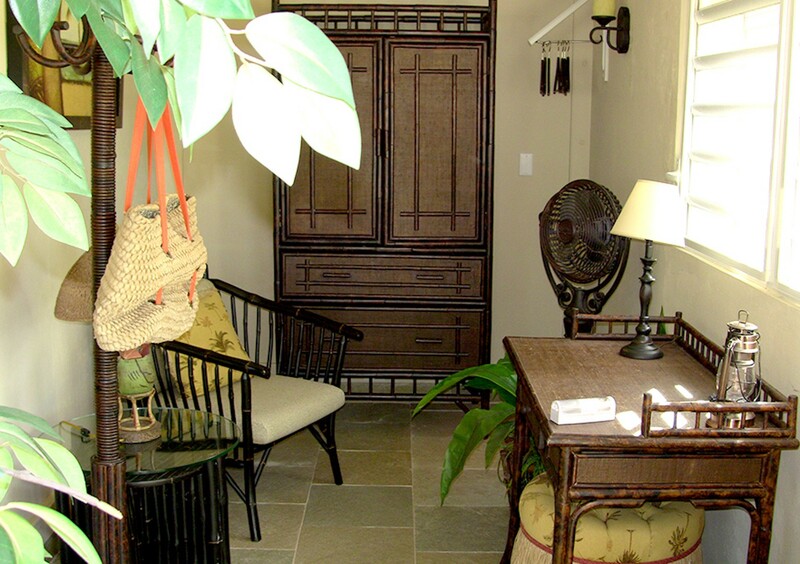 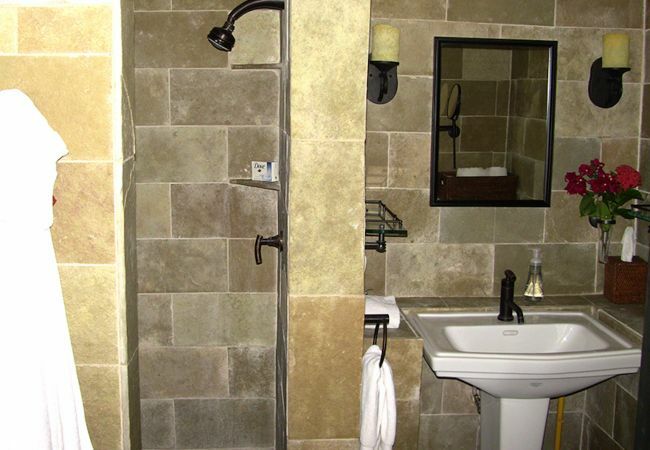 The third bedroom and ensuite bathroom is located in the garden, with sliding doors to a private sitting area. 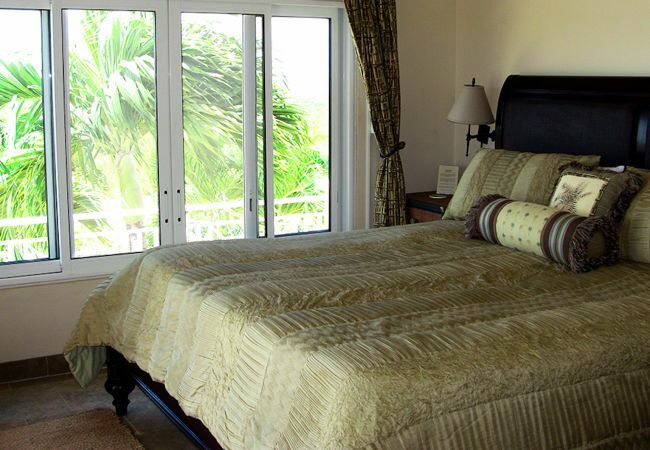 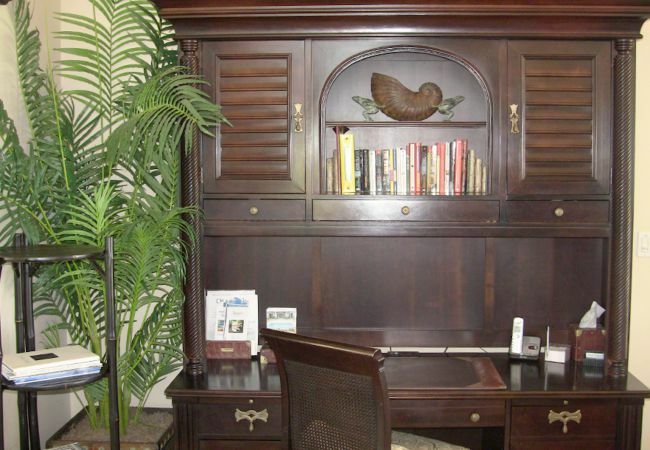 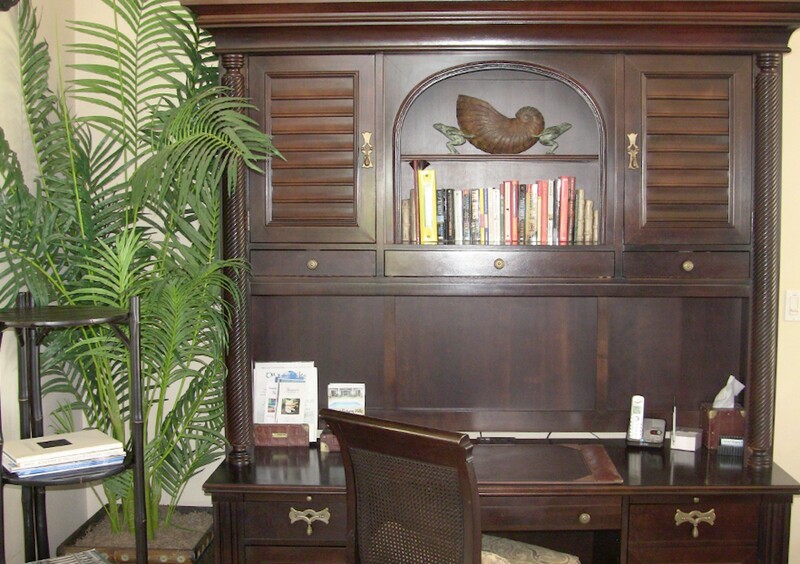 This suite can provide either one king size bed or two twin beds, it is air conditioned and also has a television. 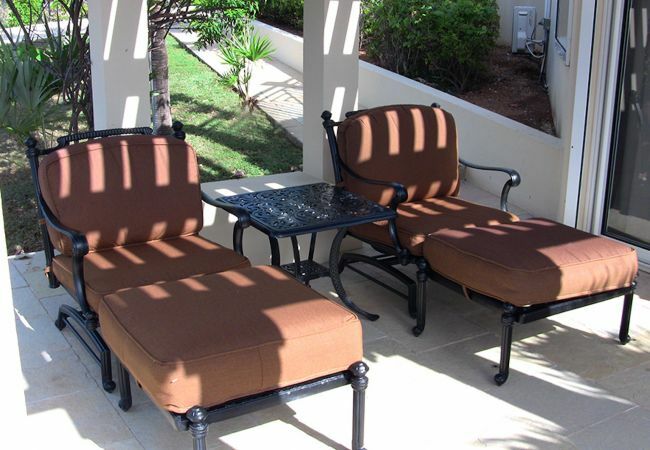 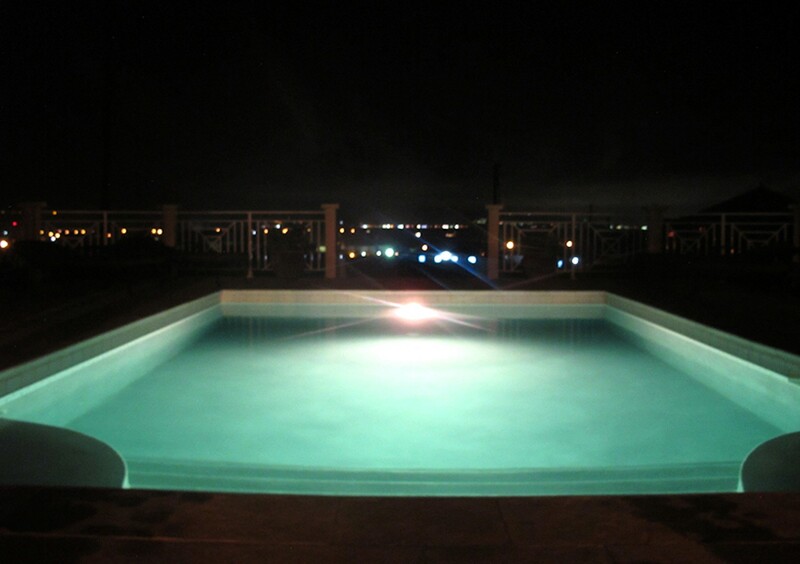 - TV, garden, garden furniture, barbecue, internet (Wi-Fi), balcony, air-conditioned, private swimming pool.